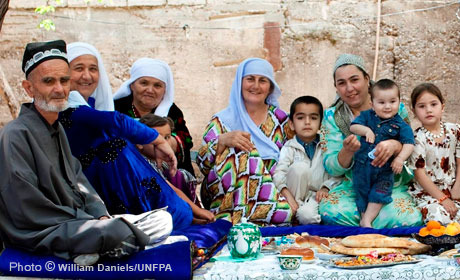 Since 1995, UNFPA has supported Tajikistan in strengthening the capacities of health professionals to provide reproductive and sexual health care, including to youth and other vulnerable groups, as well as assisting with the regular supply of contraceptives and other basic commodities. Programmes also develop national skills to collect, analyse and use reliable demographic information to plan and monitor development interventions, and respond to gender-based violence. GARM, Tajikistan – Life can be hard in the remote Rasht Valley of Tajikistan.